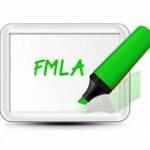 FMLA Administrative Services Offered by BCL Systems - BCL Systems, Inc. The Family with Medical Leave Act, or FMLA, is constantly changing and evolving. An employer who does not keep up can inadvertently set themselves up for a lawsuit without even knowing it. How do I handle intermittent leaves of absence under FMLA? What is considered notice of an employee’s intent to take FMLA? How does the recent DOMA ruling affect FMLA work and married partners? If you have more questions than answers, then BCL Systems, Inc. is here to help you traverse the mine field of possible mis-steps in this complicated area of employee benefit management. Whether you simply need an expert in your pocket or want help with the day to day administration, we can help you keep your company in compliance with the current regulations. HR Consulting and Compliance Assistance – Your own HR Expert in your pocket! Do you have questions about how we can help you handle your FMLA administration? Complete the form below and we would be happy to provide you with a quote.